Bernie's Equipment has the capability to install and service a variety of equipment and products including: conveyors, rack systems, dock equipment (levelers, restraints, seals and shelters), hoisting equipment, forklifts, scrubbers, storage systems, mezzanines and more. Save costs over the long term and keep equipment running like new. We offer maintenance programs to meet your needs. Bernie's Equipment can repair equipment in our facility or at your plant. Our repair technicians are experienced and fully-equipped to provide fast, dependable service. 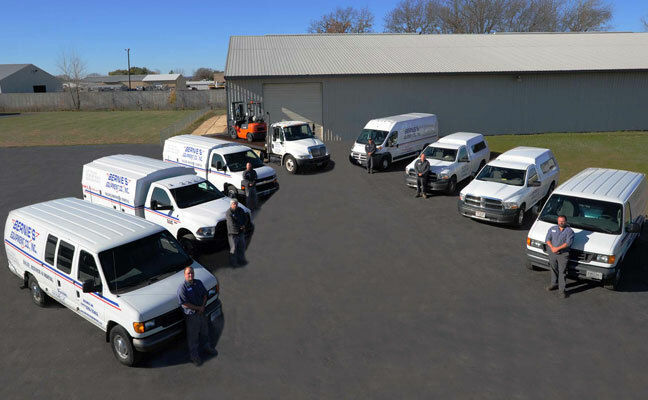 Call us when you need immediate and dependable service.